Raised in Worthington Ohio, Katherine graduated from the Worthington Alternative High School. 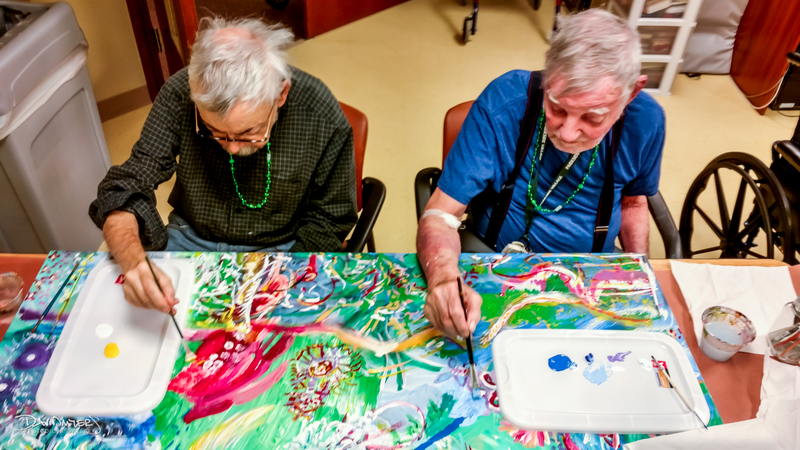 Through the Alternative Program, she explored art as an open dialog and a way to encourage others when she met Don Jones, Art Therapist with Harding Hospital and in classes at Ohio State University. A graduate of Ohio University with Bachelors in Fine Arts, Katherine studied Graphic Design and Animation, and received the Charles Logan Smith Award of Excellence in Design awarded to the top student portfolio in the design major. 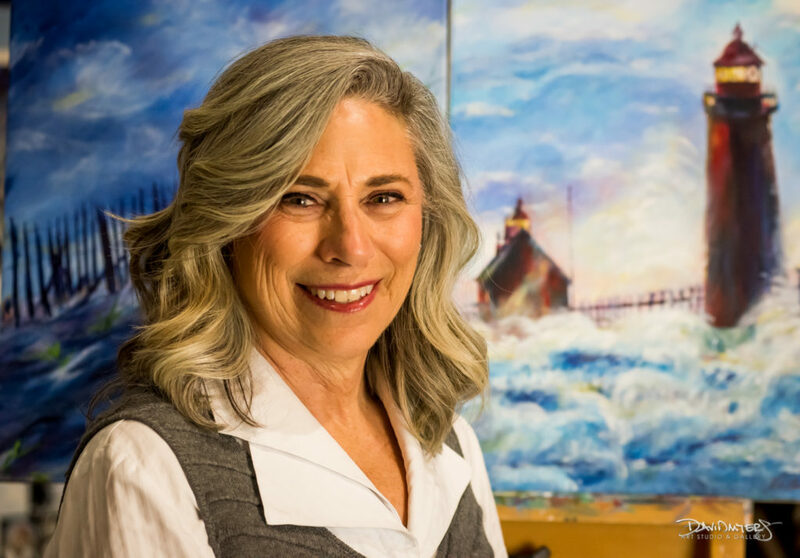 For 35+ years, Katherine has worked as a graphic and interior space designer and in the area of new business development for Ad Agencies and Industrial/Product Design firms. The introduction to “aging well” came as a result of assisting her loved one who had Alzheimer’s. Katherine re-discovered her love for art as a means to communicate, serve and provide a sense of purpose to others. 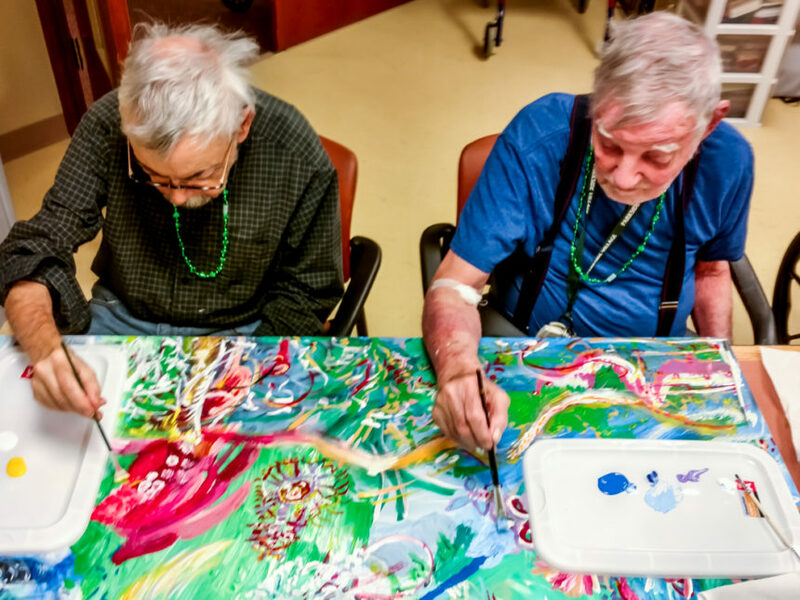 Katherine currently serves as the Director of Life Enrichment at Parkside Village Senior Living Community where a very special resident Joye Tilton introduced her to David Myers. David has been conducting classes at this community for six years. 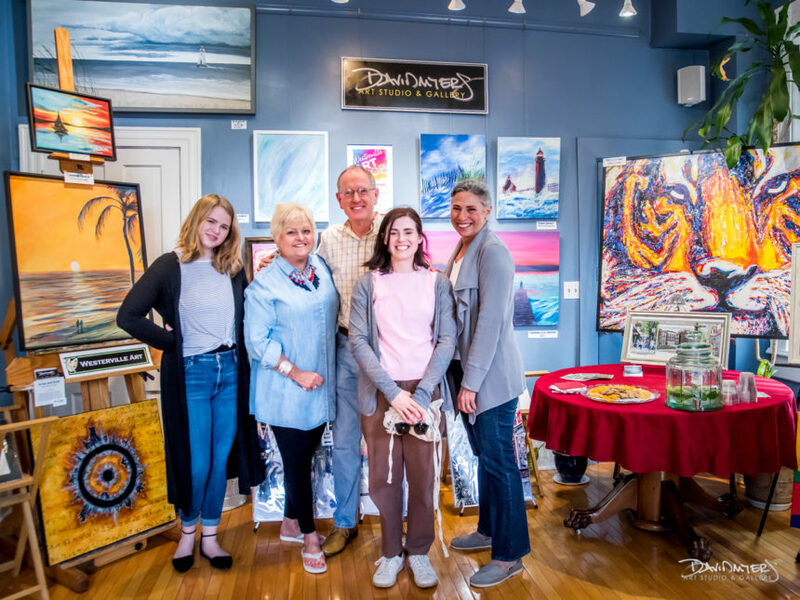 Inspired by David and Joye, Katherine began to paint again in winter of 2013 and continues to express her interest in all things nature and the mysteries of rural life. Along with her husband Benton of 29 years, she has lived in Westerville for 18 years. They have a son Beni, daughter Gabi and son-in-law Henry who tease that they have been replaced with the family’s 3 standard poodles, Kobe, Lincoln and Rafa. You can see Katherine’s work on her art during the Westerville Art Hop at the David Myers Art Studio & Gallery, Saturday, April 6th from 2:00-6:00pm.